At the risk of stating the obvious, complying with OFSTED requirements is vitally important: if you don’t do what’s expected of you, you run the risk of being shut down. OFSTED don’t look kindly on any missing information, so even the basic responsibilities, such as record keeping, require a lot of manual labour and careful consideration. You need to make sure that all the information is present and correct and that any updates are properly recorded and shared with the team (as appropriate). If your processes are paper-based, the only way for you to know if you’re missing any important information is to manually check all your files – so you’d better keep the filing cabinet close at hand. 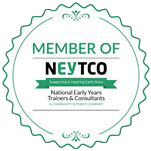 There’s just as much work – and a lot more thought – that goes into complying with OFSTED’s child-to-staff ratio limits. Many factors can affect your ratio, from expected attendance to staff sickness, so it’s easy to become confused when working out how many staff you need in a classroom. The fear of under-staffing often leads to you having more staff than necessary and, because wages are you biggest expenses, this can quickly become financially problematic. You don’t want to give OFSTED – or your local authority – any opportunity to put a black mark against your name. There might not be anything for them to find in an investigation, but it’s an unnecessary stress to add to your day. It’s all a time-consuming headache, but it needn’t be this way! Once you’ve uploaded your records to Prism, you’ll soon be waving good-riddance to your inefficient paper-based processes. Prism will automatically let you know if any key information is missing with a big red alert, so there’ll be no more rummaging through your filing cabinet to make sure everything is present and correct. Any member of your team will instantly be able to access information when they need it (with appropriate permissions), which means you’ll improve communication between your team members and save lots of time. 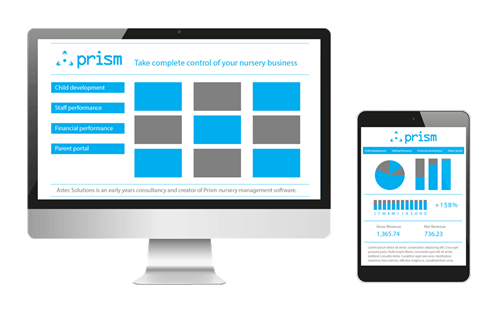 Better yet, Prism’s colour-coded charts will show you exactly how many staff you’ll need to meet OFSTED requirements on any given day. The software takes in to account all the day-today factors that can affect your adult-to-child ratio, such as: child age, staff qualifications and holidays. It even highlights when you’re going to be out of ratio in one area/room, but have enough staff in the setting overall. This means you can easily juggle your team and reduces your need to call in expensive bank staff. To give you added security –and to help you raise standards while managing your finances effectively – you can even set your own ideal business limits. So, when OFSTED do arrive at your door, you can show them that you’ve maintained schedules over and above their minimum requirements. If that’s not enough, the inspector will love how Prism helps you engage with parents through the dedicated parent portal. When it’s easy for you and your team to comply with the basic requirements, you’ll have more time and money to spend on raising the quality of care you provide – and achieving that “outstanding” verdict!